Jonathan Fields – How Do You Do Marketing in Today’s Digital World? I listen carefully when 2 of my favorite people on the web have a deep conversation. Jonathan Fields talks in this video with Jake Bronstein from Road Rules to Kickstarter Phenom. It’s really worth your time. An interview anyone should listen to. Inspiring Seth Godin speaks about books, business and life. You don’t know what to start reading this weekend? Find below my books list for you. by Mark W. Schaefer (Affiliate link) – Is it time for you to take social media serious? Than it’s time to read Return on Influence. Mark W. Schaefer shares with us new challenging subjects in the digital age you don’t want to miss out. Don’t know what is a citizen influencer? Everybody including YOU has the chance today to become an internet celebrity. 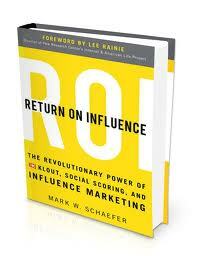 You can earn your influence through a high Klout score which is discussed in depth in his book. by Jonathan Fields (Affiliate link) – Have you already experienced un-employment? Did you feel fear and doubt and didn’t know how to turn it around? 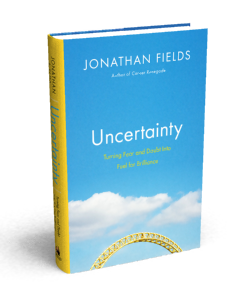 Jonathan Fields book Uncertainty talks about how to accept uncertainty and how you can change your mindset to handle these situations and to succeed. by Mitch Joel (Affiliate link) Back in 2004 when I started following Mitch Joel I immediately knew this entrepreneur had something to say I wanted to listen to. Reading his book has been a great experience on how to connect online with your customers, colleagues and your competitors. The old rules don’t apply anymore and you better catch up to understand this new media landscape. by Jay Baer & Amber Naslund (Affiliate link) – The Now Revolution is happening in real time. A trusting open-minded culture is one of the key factors in embracing and harnessing the potential of social media. You need to equip every employee to be an ambassador, a representative and an advocate in the very moment they need to be. Building and sustaining a culture that’s for the Now Revolution takes devotion. Jay Baer & Amber Naslund provide you with lots of actionable insights. by Seth Godin (Affiliate link) – This paragraph from his book says it all. Seth Godin says: “I don’t write my blog to get anything from you in exchange. I write it because giving my small gift to the community in the form of writing make me feel good. I enjoy it that you enjoy it. When that gift comes back to me, in an unexpected way, I enjoy the I did twice as much.” This summarizes the way all got started for me. Thank you Seth. by Chris Brogan & Julien Smith (Affiliate link) – Using the web to build influence, improve reputation, and earn trust. Do I need to say anything more? I highly respect the authors Chris Brogan & Julien Smith.